The NEXT GEN ATHLETE presentation ceremony for the first round of recipients was held in December at Brisbane City Hall. The event was attended by athletes, their families, State Sporting Organisations, officials and Trustees and Supporters of the Lord Mayors Charitable Trust. 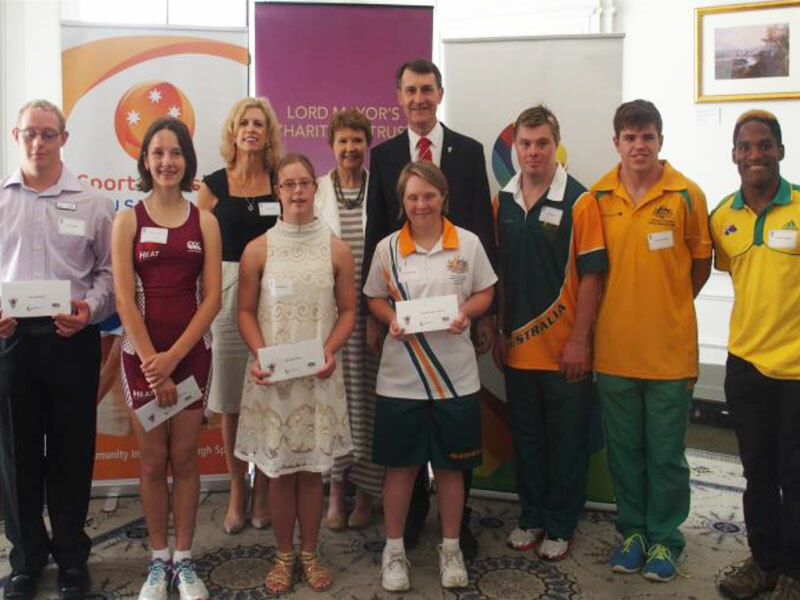 Official announcements and presentations of NEXT GEN ATHLETE Round One recipients were made by Lord Mayor Graham Quirk and Chairman of the Lord Mayors Charitable Trust, Lady Mayoress Ann Quirk along with Robyn Smith CEO of Sport Inclusion Australia. The NEXT GEN ATHLETE Program was developed by Sport Inclusion Australia with the support of the Lord’s Mayors Charitable Trust. The NEXT GEN ATHLETE Program is an innovative way of identifying and supporting young athletes with an intellectual disability in the Brisbane metropolitan region on their athletic pathway. It will assist to link aspiring young people with an intellectual disability to Queensland State Sporting organisations, Queensland School Sport and provide the opportunity to compete at local, regional, State, National and International levels while showcasing inclusive best practice and ultimately providing an opportunity to represent Australia at the 2019 Global Games in Brisbane.